highest values of fruiting zone length, number of capsules/plant, number of seeds/capsule, number of seeds/plant, seed yield / plant (in the first season) and seed yield / feddan in both seasons. While, Sakha 3 cultivar resulted in the highest means of total plant height, technical length, straw yield/plant (in the first season) and straw yield/fed in both seasons. Strain 620/3/5 produced the highest values of straw yield/plant in the second season, fiber yield/plant and fiber yield/fed in both seasons.Maximum means of all studied characters were produced from fertilizing flax plants with 60 kg N/fed., while the lowest values of these characters were obtained from plants that fertilized with 30 kg N/fed. ·Foliar spraying flax plants twice with potassium after 50 and 70 DFSsignificantly exceeded other studied times of foliar spraying with potassium and produced the highest values of all studied characters. 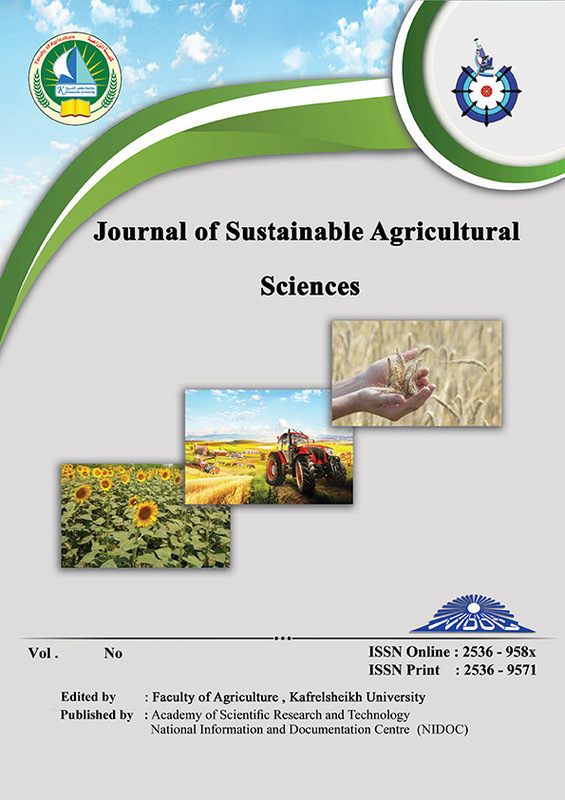 Form the obtained data in this study, it can be concluded that mineral fertilizing Sakha 3 cultivar, Strain 620/3/5 and Sakha 5 with 60 kg N/fed and foliar spraying twice with potassium after 50 and 70 DFS from sowing could be recommended in order to maximizing straw, fiber and seed yields, respectively under the same conditions of this research.